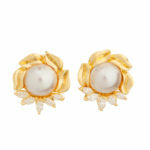 A beautiful pair of mabe pearl and diamond earrings in 18K yellow gold. 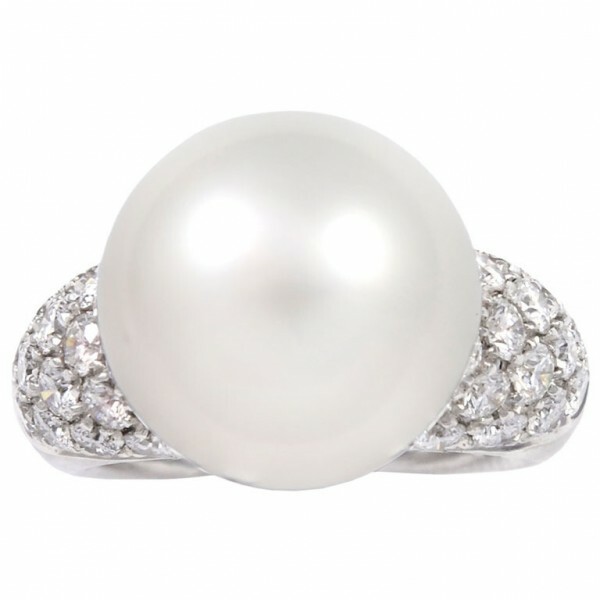 The 13mm pearls are in a frame of marquise diamonds and gold leaf design. te diamonds have an estimated total weight of 1.10cts. They are graded as G-H color, VS clarity.